I can’t say I wear a whole lot of green, but this pale shade of sage is really inspiring me at the moment. 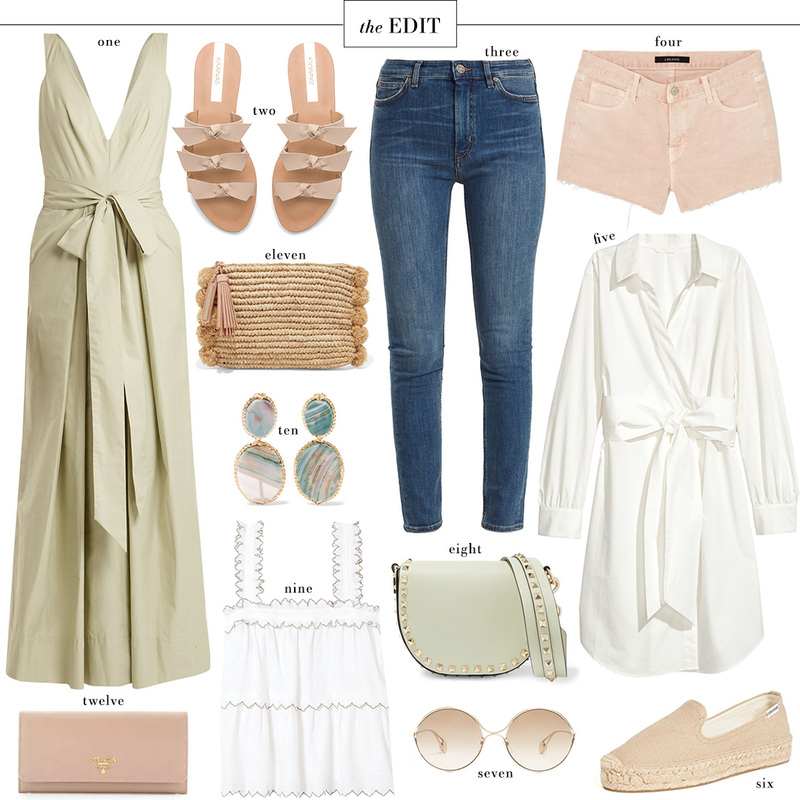 There are a bunch of beautiful new pieces and accessories coming out for spring in this soft, subtle hue and I think I may need a bit of it for my warm weather wardrobe. Also, it just so happens Saint Patrick’s Day is this weekend! Shop more of my favorites in this unique color below! This Rosie Assouline jug bag is to die for! Obsessed. This striped bikini is so adorable – love the off-shoulder top! If you liked the Madewell striped shirt (it’s two years old!) from my InstaStories over the weekend, you’ll probably also love this shirt. This bag is by a new-to-me brand and can be worn on your shoulder or as a crossbody with the optional long strap! Add this color to your spring/summer work wardrobe with these tailored trousers. So chic! This darling tote is on sale and such a fab find for spring/summer! Slides are here to stay, so grab a pair like these that’ll be wearable spring, summer and even into fall! Look very closely at this top and I think you’ll be very pleasantly surprised by the print! Have a few weddings coming up? I love the optional cape attachment to this dress – it’s very Sandy at the dance from Grease, don’t you think? This clutch would be such a fun, colorful accessory to have for summer and any beach vacations you have coming up. Great texture! Mules are also clearly here to stay, so why not try these with dresses and white jeans! This mini box bag would be a great travel accessory this year – love the structure and chain strap! This Alexander McQueen blouse would be a major splurge for anyone, but oh man is it beautiful. So cute! I love #1 and #2! So Sandy at the dance!